Add a unique touch to your paper snowflakes by means of getting to know how to make 3D snowflake. 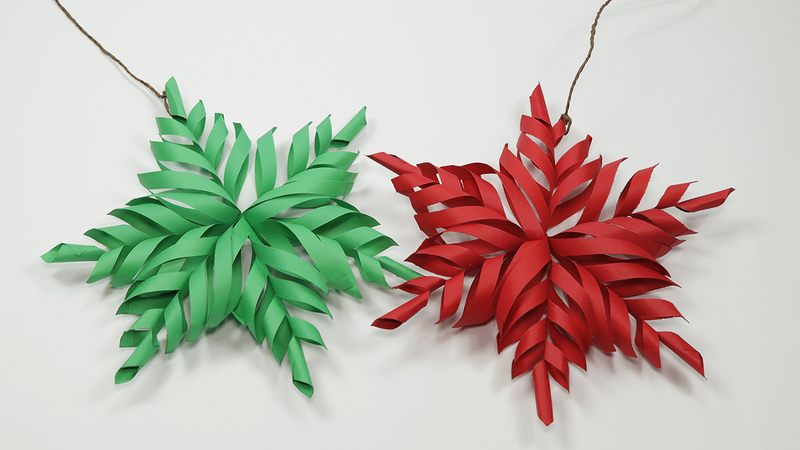 This Artsy Fartsy tutorial will teach you to to make 3D Paper snowflake which you could use for your snowflake decorations. This is one of the high-quality paper snowflake patterns assured to provide a fresh appearance in your winter decorations. you may need a easy white sheet, pearls, paper jute string, pencil, ruler, and scissors to make those 3D Snowflakes. If you already know how to make paper snowflakes,it will be a very easy crafts activity for you. Even if you have not done any DIY Crafts before, you can simply follow the step by step process shown in the video to make these 3D Paper snowflakes.